Scientists have developed important new insight into the sensitivity of global temperature to changes in the Earth’s radiation balance over the last half million years. 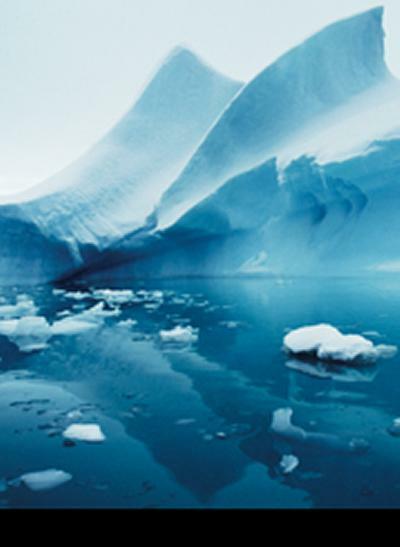 In a study in Journal of Climate, researchers from the Universities of Southampton and Bristol for the first time reconstructed climate sensitivity over five ice-age cycles based on a global suite of records of sea surface and polar temperature change. These are compared with a new reconstruction of changes in the Earth’s radiation balance caused by changes in greenhouse gas concentrations, in surface reflectivity, and in insolation due to slow changes in the Earth-Sun orbital configuration. The study calculates global mean climate sensitivity, but ¬also considers its relationship with latitude. This is important because many of the past radiative changes were not equally distributed over the planet, in contrast to the more uniform distribution of the modern radiative changes due to rising greenhouse gas levels. The researchers infer that Earth’s climate sensitivity over the last half million years most likely amounted to a 3.1 to 3.9 °C temperature increase for the radiative equivalent of a modern doubling of atmospheric carbon-dioxide concentrations (with a total range of 1.7 to 5.7 °C). The current study, which is funded by the Natural Environment Research Council (NERC), is based on marine results, but terrestrial information is also being sought in order to progress the study further. In addition, Professor Rohling is joint coordinator of the international Palaeosens effort that aims to establish a common approach for the reporting and comparison of climate sensitivity estimates from geological data, which started at the Royal Netherlands Academy of Arts and Sciences in March 2011. Professor Rohling will be presenting the findings at the American Geophysical Union (http://www.agu.org/) conference in San Francisco on Wednesday 07 December (presentation PP32A-02). Watch a video of the conference here (Professor Rohling gives his speech from about 14 minutes 30 seconds).